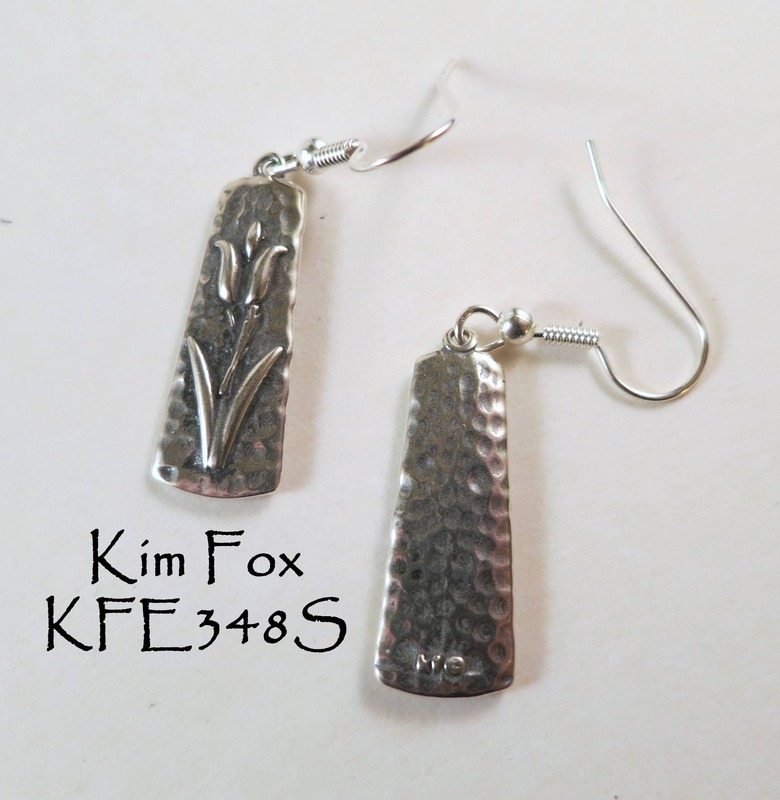 The textured lozenge shape of these light but sizable earring is 1 inch by 3/8 inch at its widest. 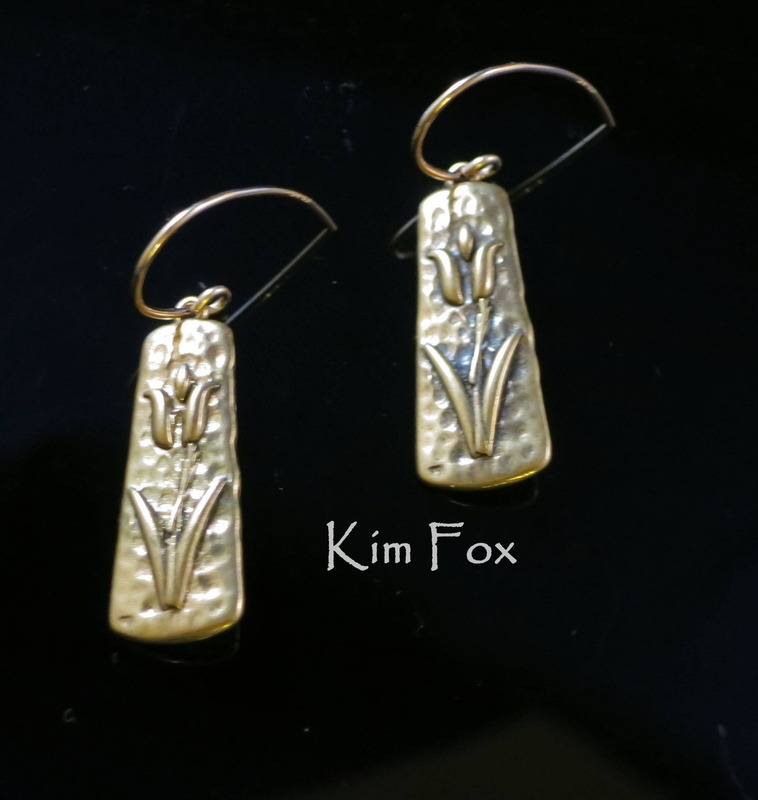 The texture surrounds the earring and the raised tulip design covers the front. 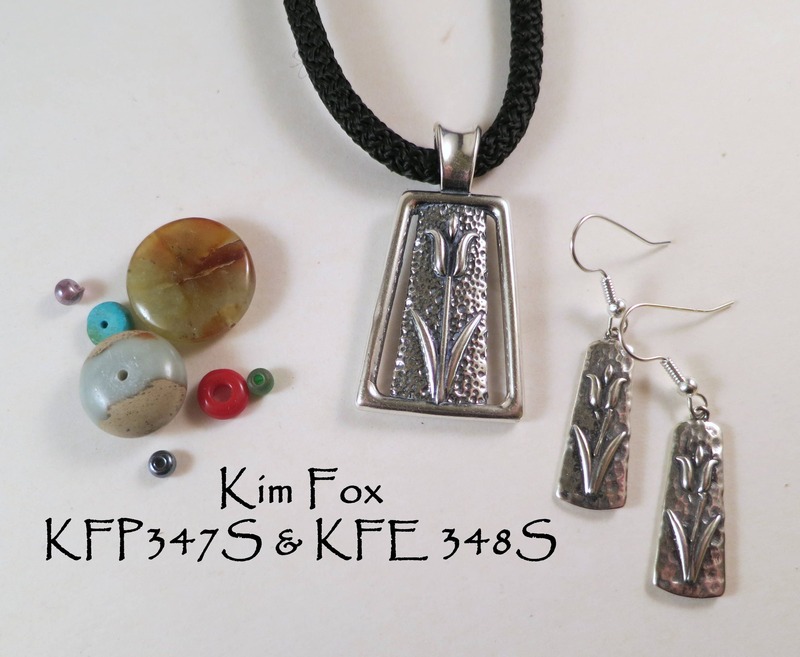 There is an accompanying pendant in the collection if you like complimentary pieces in your jewelry wardrobe. 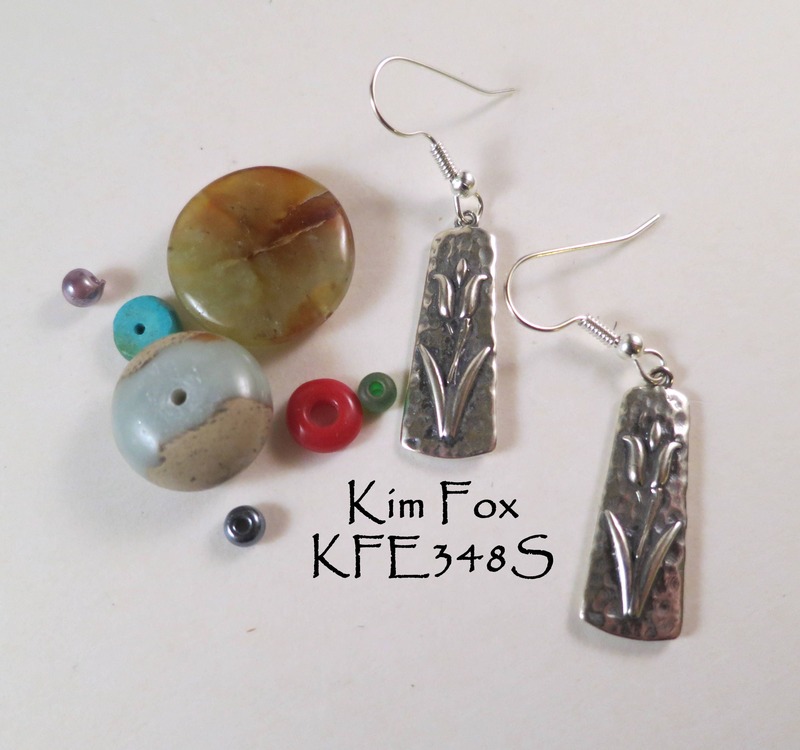 The sterling silver has been lightly patinaed to better show the pattern. 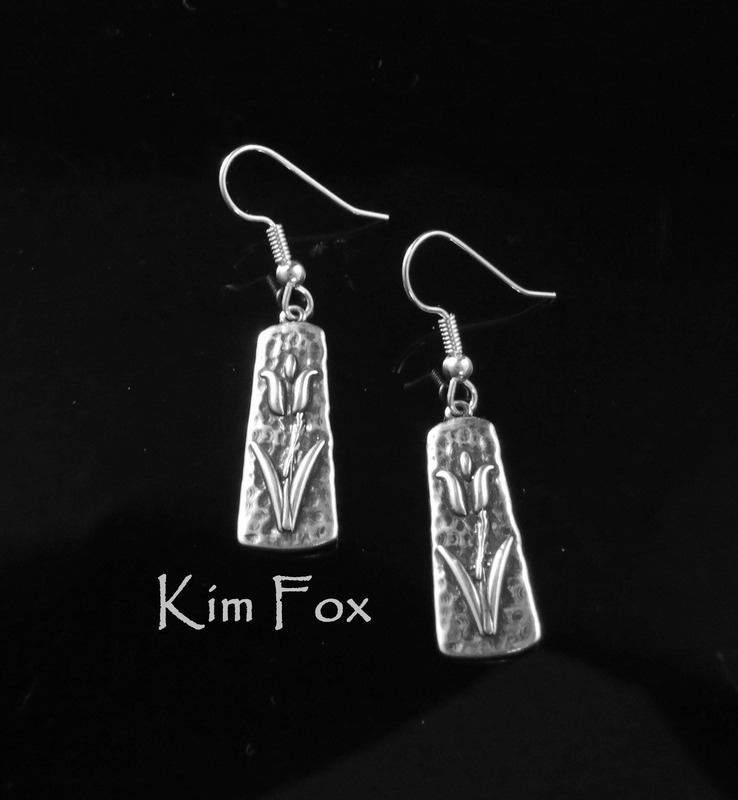 The earring wires are surgical steel to prevent any allergic reactions that might occur. Made in the USA in Albuquerque. Lost wax cast and hand finished.